There were a lot of fights available for viewing in the United States on Saturday, June 9. Anyone who was on the job and watched them all would have put in a full eight-hour shift and been eligible for overtime pay. 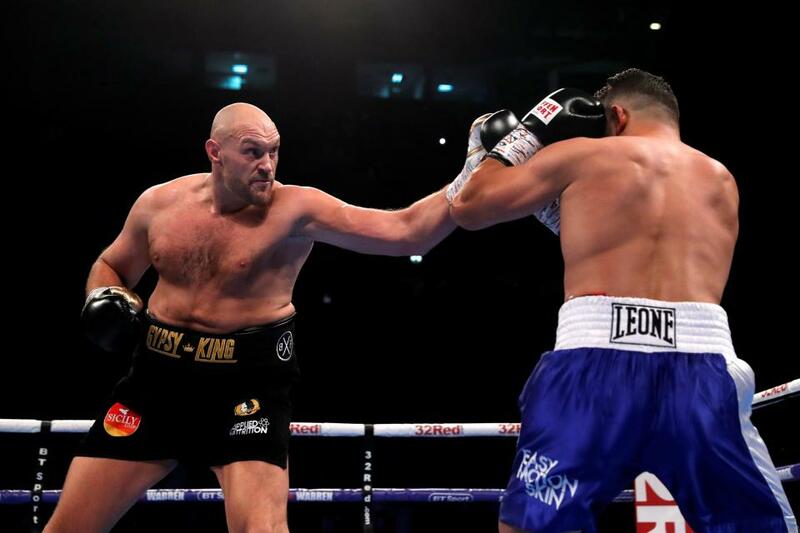 The festivities began in England at the Manchester Arena where Tyson Fury returned to the ring after a 924-day absence. Fury will go down in history as one of boxing’s oddest heavyweight champions. He won the crown by decision over Wladimir Klitschko on November 28, 2015, in one of the most dreary heavyweight title bouts ever. Then psychiatric problems, drug issues, and other difficulties forced him from the ring. A proposed rematch with Klitschko was cancelled twice, the second time after Tyson acknowledged that he was psychologically unfit to fight. Fury also admitted to using cocaine after urine samples taken from him in September 2016 tested positive. Compounding his troubles, Fury was justly pilloried in the media after making a series of misogynist, homophobic, anti-semitic statements. But Fury can fight. He has size, natural strength, reasonably fast hands, and a good boxing IQ (which at times, seems like the only IQ he has). Moreover, from a marketing point of view, there’s a curiosity factor surrounding Tyson, even if it’s akin to watching a beached whale that has washed ashore and is struggling to get back in the ocean. 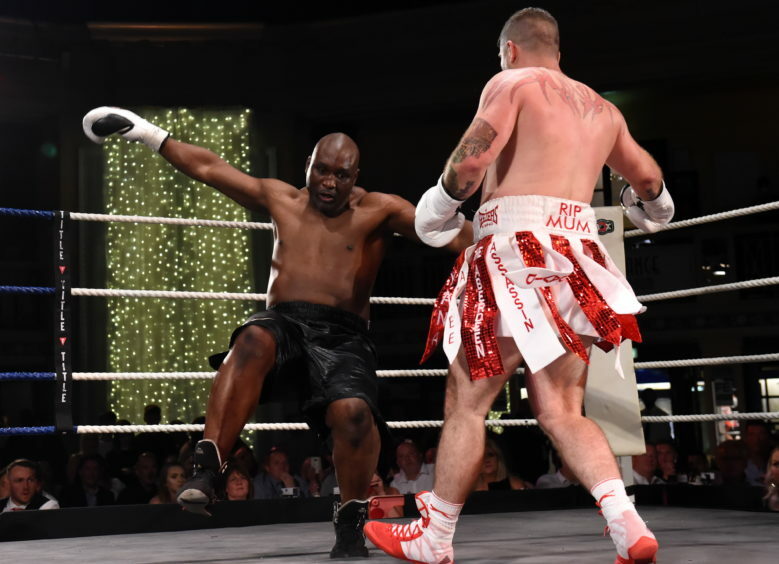 The opponent chosen for Fury’s comeback bout was Sefer Seferi, a 39-year-old Albanian club fighter who now lives in Switzerland. Seferi brought a 23-1 (21 KOs) record into the contest. But he has limited boxing skills and had fought most of his career as a cruiserweight against mediocre opposition. Nothing on his resume indicated that he’d be competitive against Tyson, which was why he was selected as the opponent. Fury (25-0, 18 KOs) was a 50-to-1 betting favorite. When fight night came, Tyson entered the ring looking like a man who’d won a pie eating at least once a week since his triumph over Klitschko. He’s huge to begin with; a broad 6-feet-9-inches tall. And before he began training for his comeback, his weight had ballooned to almost 400 pounds. He weighed in for Seferi at 276-1/2 pounds, thirty pounds more than for the Klitschko fight. And the extra thirty pounds were flab. Seferi weighed in at 210. As for the fight itself; Fury showed little interest in fighting in the opening stanza. In round two, referee Phil Edwards told him to stop fooling around and box, which had no effect whatsoever on the flow of the action. In fact, late in that round, Tyson stopped boxing altogether to watch a fight that had broken out at ringside. This was consistent with the theme of the evening, which was that, against Seferi, Fury could do pretty much what he wanted to do. Then, in round four, Tyson became a bit more serious about boxing. After that stanza, Seferi quit in his corner. He was brought in to lose, and he did. One should be wary of criticizing a fighter for saying “that’s enough.” But the booing that followed the conclusion of the bout was justified. Realistically speaking, this is the proper way to bring Fury back if he’s to become a serious contender rather than just a vehicle for a cash grab. Tyson has a name. He can make a lot of money by fighting the likes of Tony Bellew, not to mention Anthony Joshua and Deontay Wilder, right now. Whether he can regain his old ring skills and hold his fragile psyche together long enough to climb to the top of the mountain again is another matter. Fury-Seferi was available for viewing in United States on the Showtime Boxing Facebook page and Showtime Sports YouTube channel. 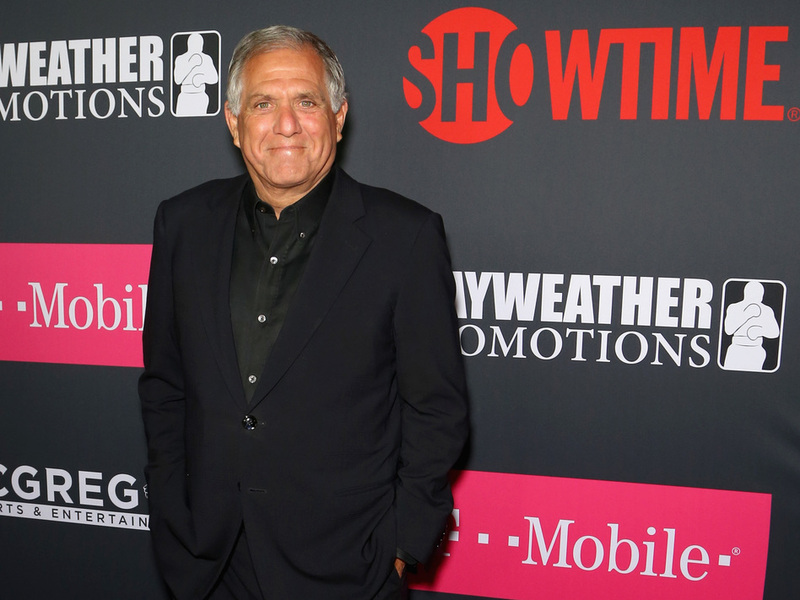 Later in the evening, Showtime’s premium cable network offered fans two more fistic encounters, both from the Staples Center in Los Angeles. First, Jermell Charlo (30-0, 15 KOs) defended his WBC 154-pound title against Austin Trout (31-4, 17 KOs). Charlo is good but largely untested. Trout has skills. But he’s an old 32 and hadn’t won a big fight since decisioning Miguel Cotto in 2012. Since then, he’d lost four of nine bouts, albeit to quality opponents (Canelo Alvarez, Erislandy Lara, Jermall Charlo, and Jarrett Hurd). The fight began with Jermall stalking his man and Austin trying to blunt the assault. It continued with Jermall stalking his man and Austin trying to blunt the assault. And it ended with Jermall stalking his man while Austin tried to blunt the assault. Charlo kept trying to go for broke with his right hand. Trout had enough skills to make Jermell miss but not enough power to make him pay. Austin scored points when he landed but didn’t inflict enough damage. Charlo scored knockdowns with a right hand in round three and a counter left in round nine. Two of the judges actually watched the fight, scoring it 118-108 and 115-111 for Charlo. 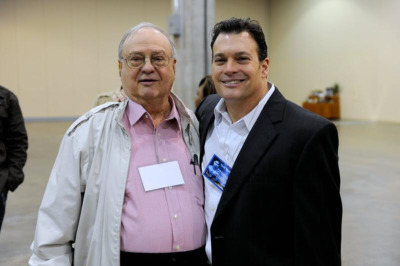 The third judge, Fernando Villarreal, inexplicably scored the contest even at 113-113. The obvious next fight for Charlo is a unification bout against WBA-IBF 154-pound beltholder Jarrett Hurd, who knocked Trout out in ten rounds last October. The winner of that bout could deservedly call himself the 154-pound world champion. The second half of the Showtime doubleheader matched WBA 126-pound beltholder Leo Santa Cruz (33-1, 19 KOs) against Abner Mares (31-2, 15 KOs) in a rematch of their 2015 outing which Santa Cruz won by majority decision. There was no reason to believe that things would end differently this time, and they didn’t. Mares started well in the first two rounds on Saturday night but then faded in a spirited encounter. Santa Cruz (a 7-to-2 favorite) won a 117-111, 116-112, 115-113 decision. A possible unification fight with WBC featherweight beltholder Gary Russell Jr. is now on the horizon. Meanwhile, the brightest star in the galaxy on Saturday night was Terence Crawford, who faced off against Jeff Horn at the MGM Grand Arena in Las Vegas. Crawford (now 33-0, 24 KOs) is on the short list of fighters who are in the conversation for boxing’s #1 pound-for-pound ranking. Last July, he consolidated the four major 140-pound belts with a third-round knockout of Julius Indongo. Then he moved up in weight. Horn entered the Crawford bout with an 18-0-1 (12 KOs) record and was the WBO 147-pound beltholder by virtue of a misguided decision over an aging Manny Pacquiao in Horn’s Australian homeland last July. Horn and his camp made a lot of silly statements during the build-up to the fight. At one point, Glenn Rushton (Jeff’s trainer) likened his charge to Rocky Marciano. That had even less credibility than promoter Bob Arum’s proclamations that the bout would be highly competitive. More significant than the fight itself from a long term point of view, Crawford-Horn was the first big exposure for boxing on ESPN+. An April 21 match-up between Amir Khan and Phil LoGreco had been a test run of sorts. ESPN+ is a streaming subscription video service priced at $4.99 a month or $49.99 a year. When Top Rank and ESPN announced an exclusive boxing partnership last year, fight fans were told that the venture would bring massive exposure to Top Rank fighters with stars like Crawford fighting on ESPN and reaching an audience far beyond what HBO had brought them. Crawford should be happy with the $3,000,000 purse that, according to ESPN, he was paid to fight Horn. But the other side of the coin is that Crawford – the 2016 Boxing Writers Association of America “Fighter of the Year” – fought on Saturday night in a half-empty arena at the MGM Grand in a bout that was televised on an app. The entire Crawford-Horn undercard was also shown on ESPN+. There was more cheerleading than serious commentary from the announcing team of Todd Grisham and Jon Saraceno during a string of lopsided preliminary fights. Then the trio of Joe Tessitore, Tim Bradley, and Mark Kriegel came on board for the two main bouts. Jose Pedraza outpointed Antonio Moran 96-94 X 3 in a bloody encounter, after which it was time for Crawford-Horn. Horn came to fight. But so did Crawford. And as expected, Terence was the better fighter. In the ring, he’s a nasty SOB. Crawford makes adjustments well as a fight progresses. He usually takes a few rounds to figure out his opponent. Then he breaks his adversary down and dominates the action. He’s equally comfortable fighting on the inside or at a distance. When he smells blood, he takes his assault to a new level. By round four, Crawford-Horn had become a one-sided battle. By round seven, Horn was in survival mode. In round eight, he took a bad beating. After that stanza, his corner, the ring doctor, someone, should have stopped it. But no one did, so Horn went out for round nine to get knocked down and battered some more until referee Robert Byrd stopped the carnage at the 2:33 mark. Horn is an ordinary fighter. Still, Crawford turned in a scintillating performance. It was sort of like watching Luciano Pavarotti sing in an ordinary opera. The libretto might not be that good, but it’s still Pavarotti. The one flaw on Terence’s resume is the absence of an elite opponent. IBF welterweight champion Errol Spence is fighting in a “gimme” against Carlos Ocampo next Saturday night. Right now, Spence-Crawford is on the short list of fights that boxing fans most want to see. Spence-Crawford would also do more than any other possible match-up to prove the winner’s greatness. But at age thirty, Leonard had beaten Marvin Hagler, Thomas Hearns, Roberto Duran, and Wilfred Benitez. Crawford has beaten Viktor Postol, Felix Diaz, Julius Indongo, and Jeff Horn. So why not put Crawford in next with Errol Spence? The winner would be boxing’s pound-for-pound, number-one fighter. And a superstar.